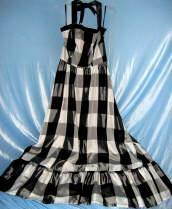 Includes: Dramatic 2 piece gleaming woven stripe & plaid taffeta Victorian dress. Hook & eye front closure jacket & back zipper skirt. bow & ruffles at back hip & brooch at bodice. Top & elastic waist skirt both have back zipper. Stretch fabric allows for some size flexibility. back hip & brooch at bodice. Elastic waist skirt & back zipper. is pictured on the right. See her details below. black lace & a small back train. 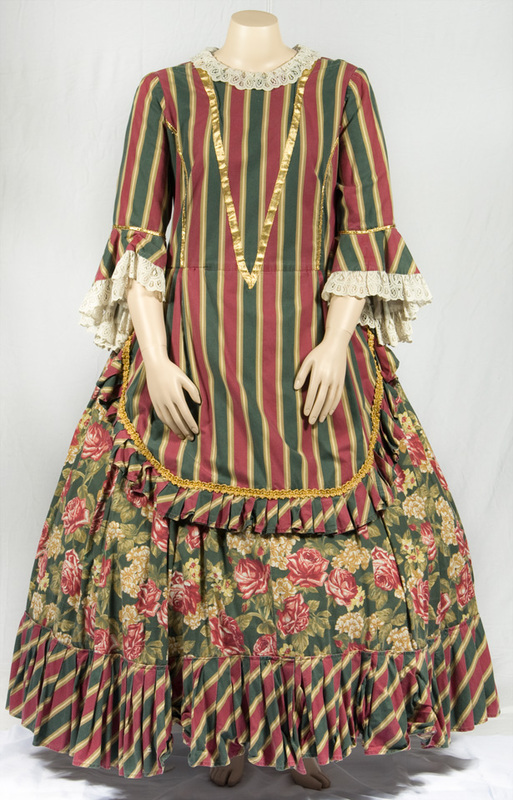 Includes: Melon and Citrine striped and flower figured dress with silk striped mutton chop sleeves, lace and ribbon yoke with stand collar. 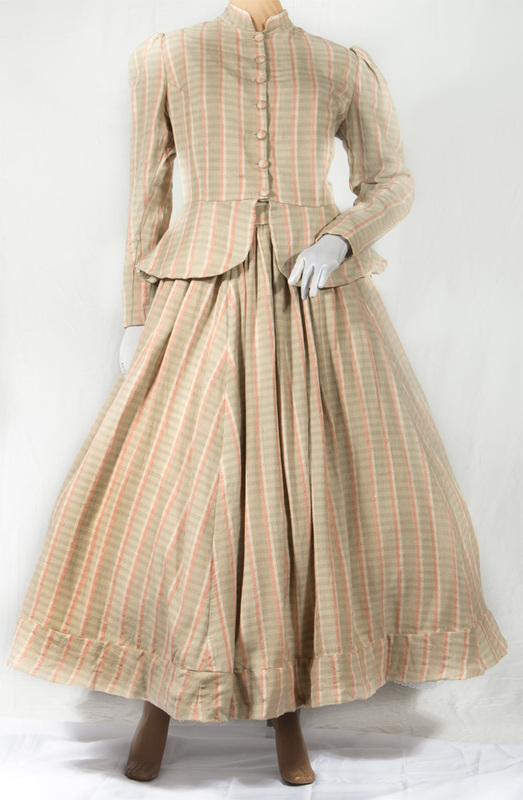 A lined floor length skirt with matching belt. 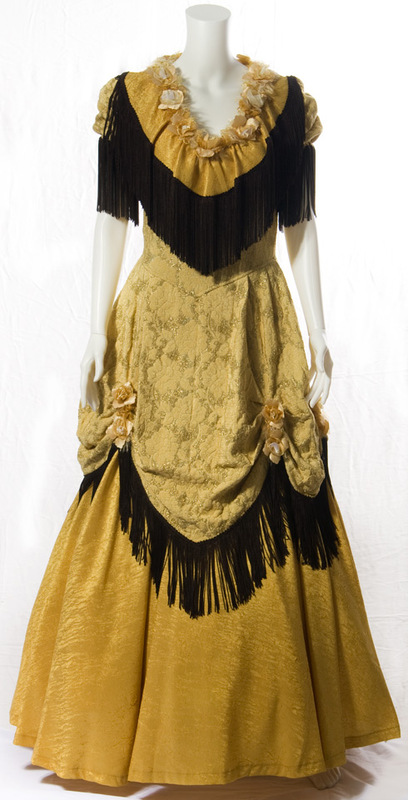 Includes: Gold brocade gown with brown satin trim. 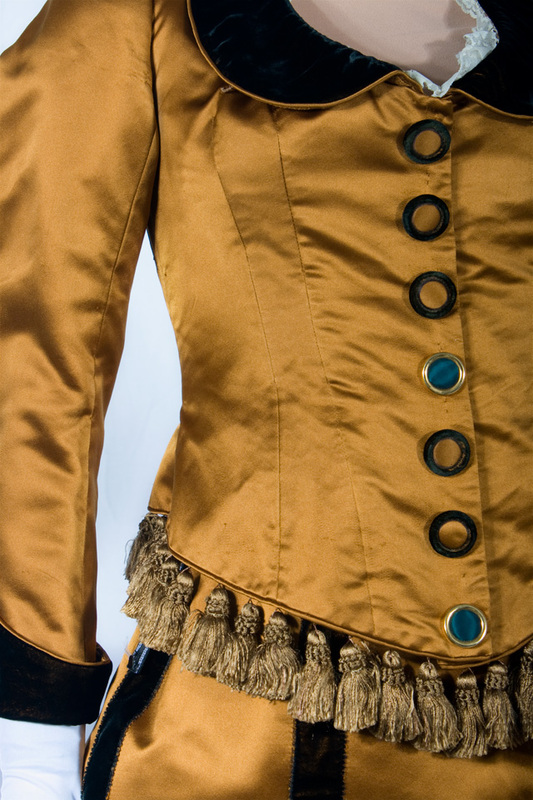 Fitted bodice with applied brown satin collar trimmed in gold braid. 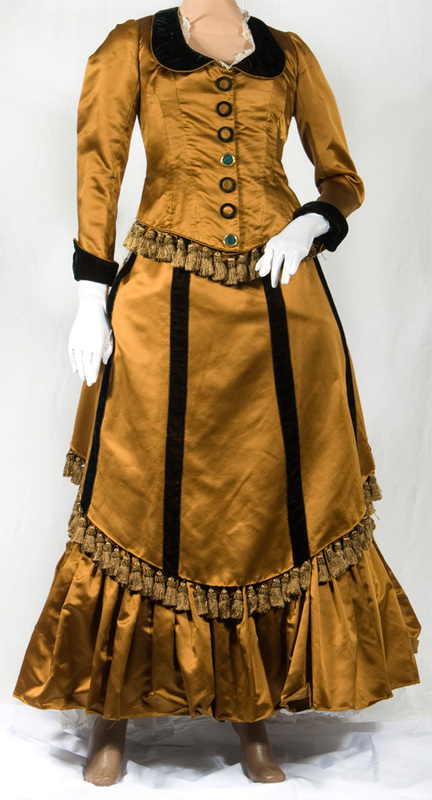 Short puffed sleeves, A line skirt with fullness in the back, matching brown ruffle at hem, & bands of golden brown braid trim on skirt. 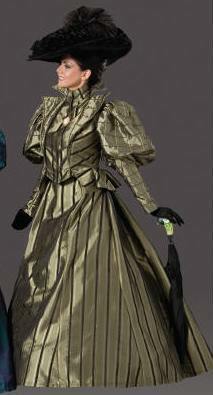 Includes: Gold satin brocade gown with fitted bodice and antique gold net collar and sleeve ruffle. V neck princess line bodice has short fitted sleeve with flounce of gold brocade and antique gold net. 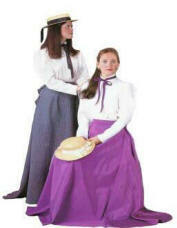 Full length attached skirt is A line with a slight train. 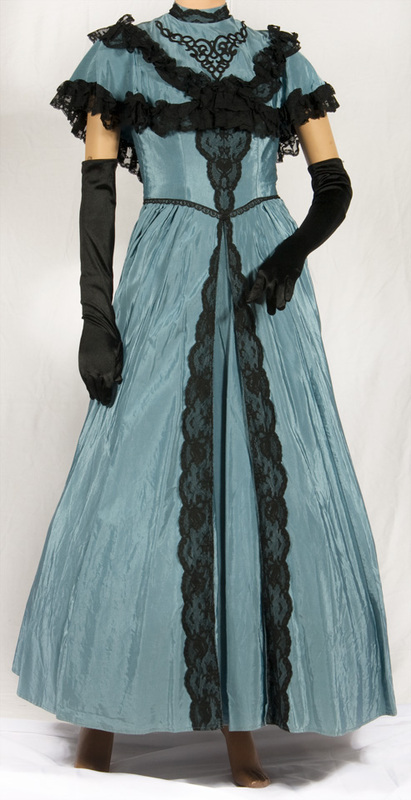 Includes: Blue grey faille sleeveless dress has fitted bodice that laces up the back and black lace trim. Cape collar with tiered black lace trim covers shoulders, round neckline trimmed in lace ruffle and black appliqué on yoke. Faille skirt is attached at waist with black lace edging and has applied lace trim on center front pleat. black & grey lace at bodice and bottom of dress, black beaded lace appliqué on base of skirt, multi layered lace sleeves & short train on back of dress. bead & lace trim in back. B: 36" / W: up to 34" / H: up to 42"
Includes: Two piece bronze satin with velvet & tassel trim. Boned bodice has center front faux button closure, velvet collar with satin piping, matching cuffs, fitted to below the waist. 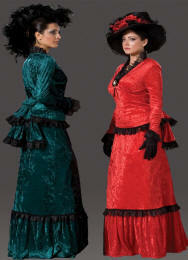 Skirt has attached bustle, deep ruffle with self trim, velvet ribbon & tassel trim. button front, & peplum. 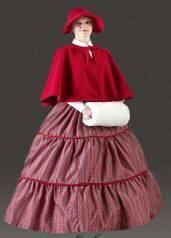 Gored walking skirt. 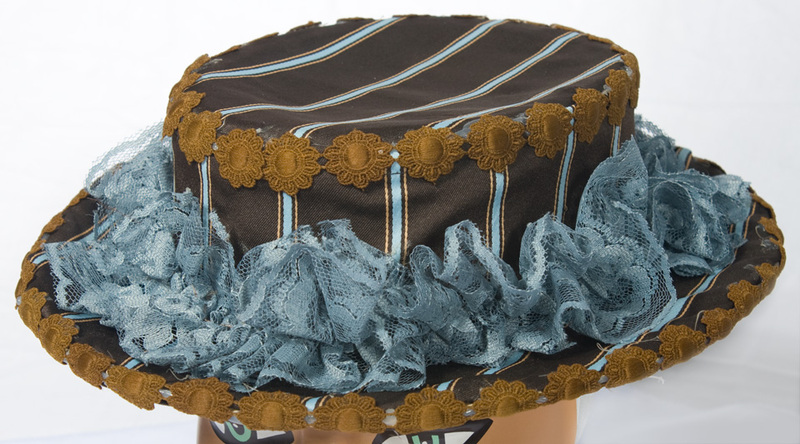 blue lace & bronze flower trim. 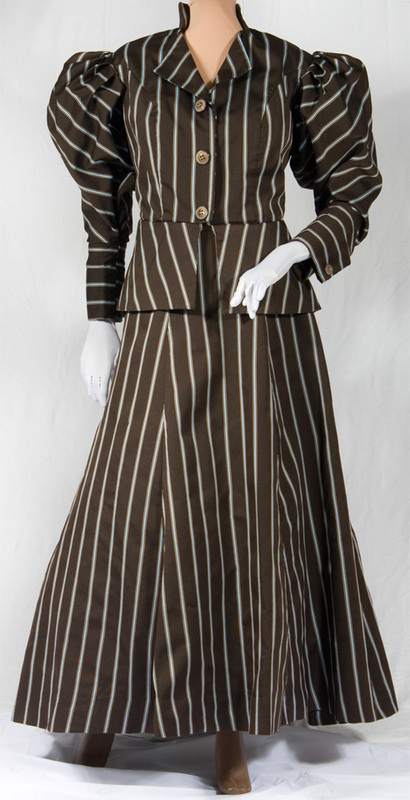 Deluxe Turn of the Century Traveling Suit with hat. bias band trim at hem. center front. 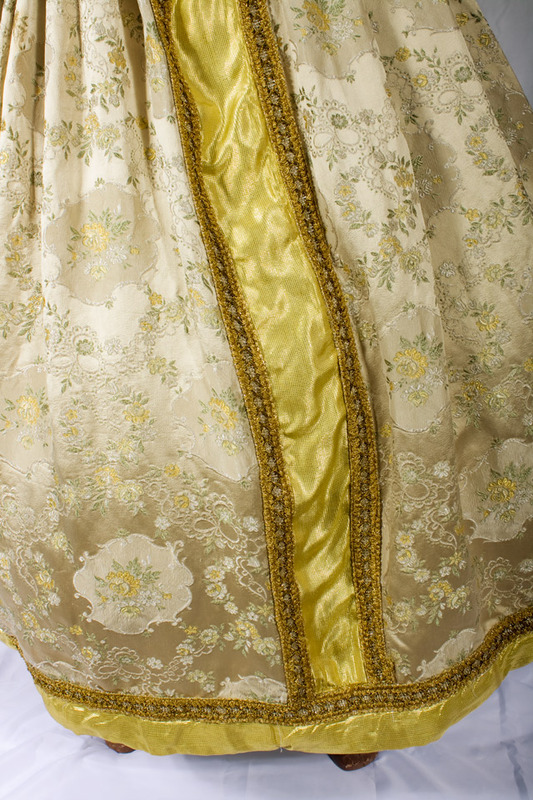 Separate brocade skirt has center front gold & yellow metallic applied panel, trimmed with gold braid & same treatment at hem. Includes: Two piece navy blue polka dots on a white ground bodice with peplum and skirt. 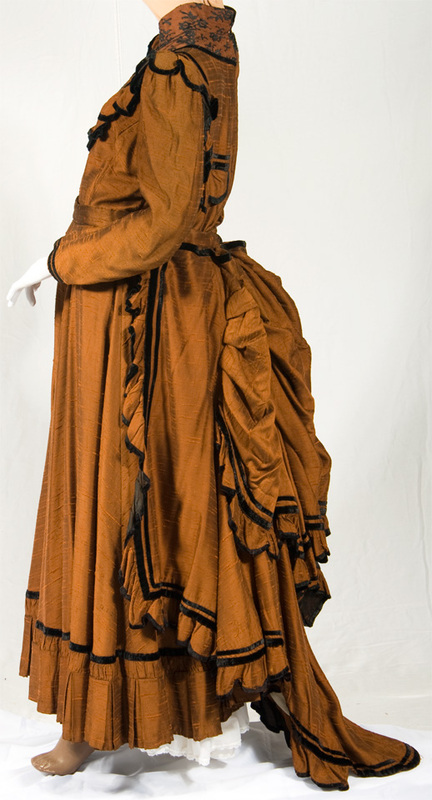 Skirt has attached apron drape & bustle with bow effect. 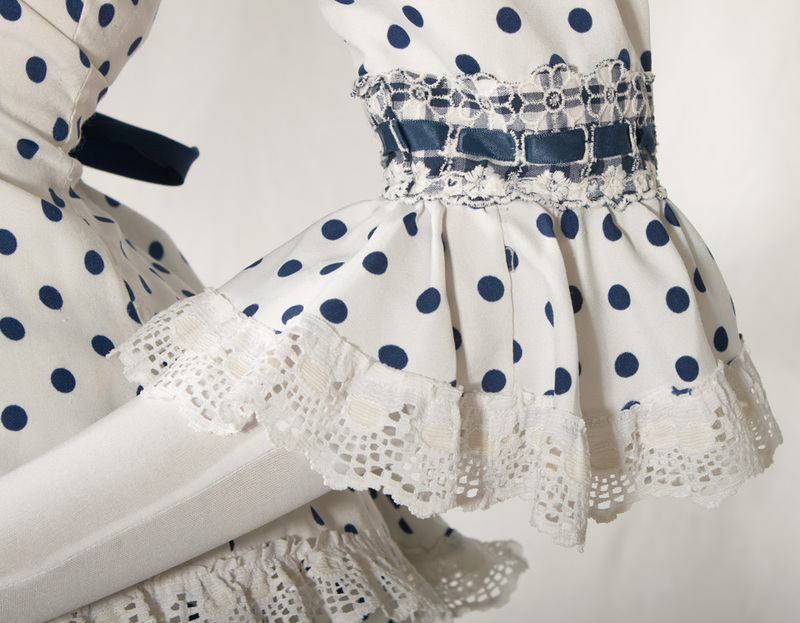 White lace & navy ribbon trim. 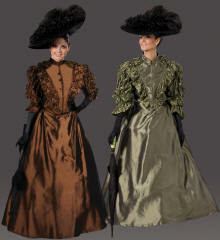 B: 34" / W: 30" / RC: 32"
Includes: Bronze antique satin floor length dress with black velvet trim. 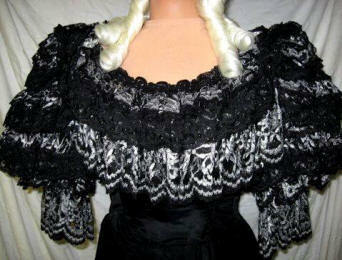 Stand collar with black lace insert, black ribbon applied trim & scalloped ruffle at yoke. 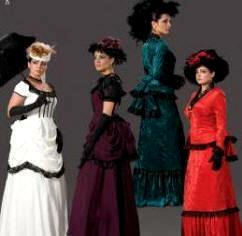 Fitted bodice, gored skirt with pleated edge trim. Leg of Mutton sleeves. 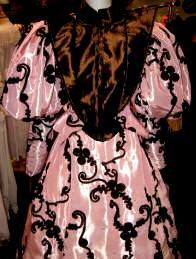 Matching bustle attaches at waist. Includes: Chestnut brown faille with chocolate brown velvet trim. 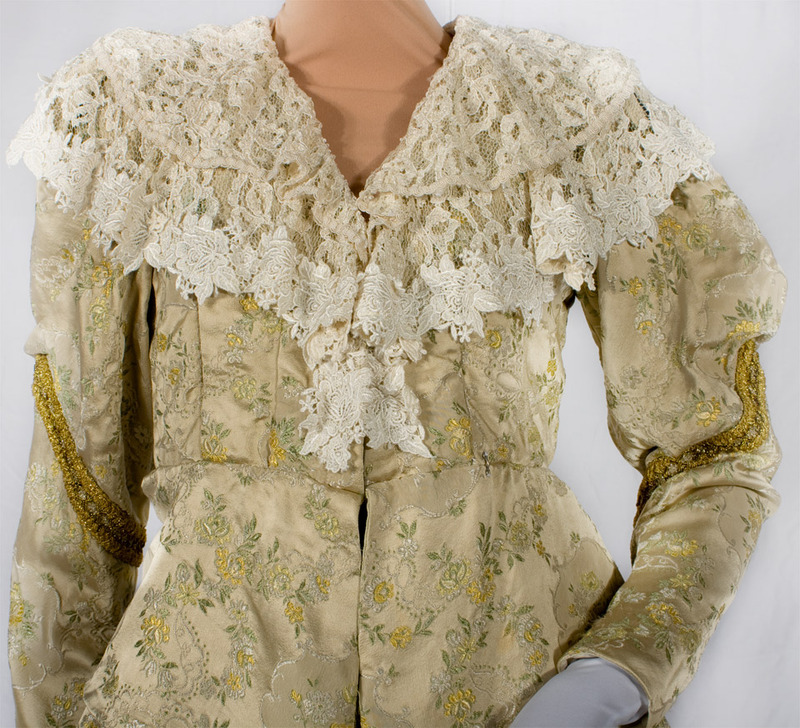 Fitted bodice with deep shawl collar trimmed in cream lace. 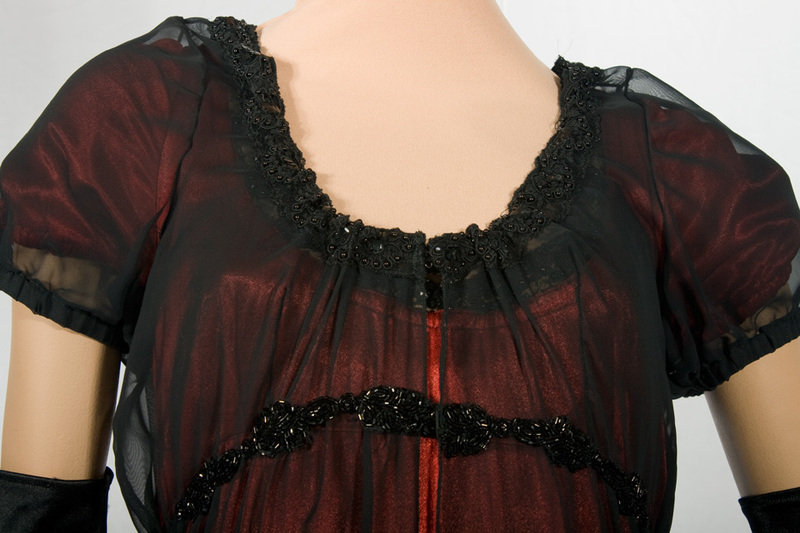 Three quarter bell sleeves, draped skirt with black lace trim. Separate bustle with black and cream trim. 3 piece dress. 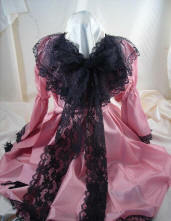 Includes: Amethyst cotton dress with lace & ribbon trim. 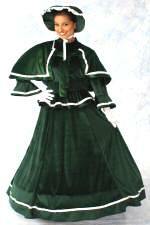 Puffed sleeve with straight undersleeve, high collar & pleated skirt. 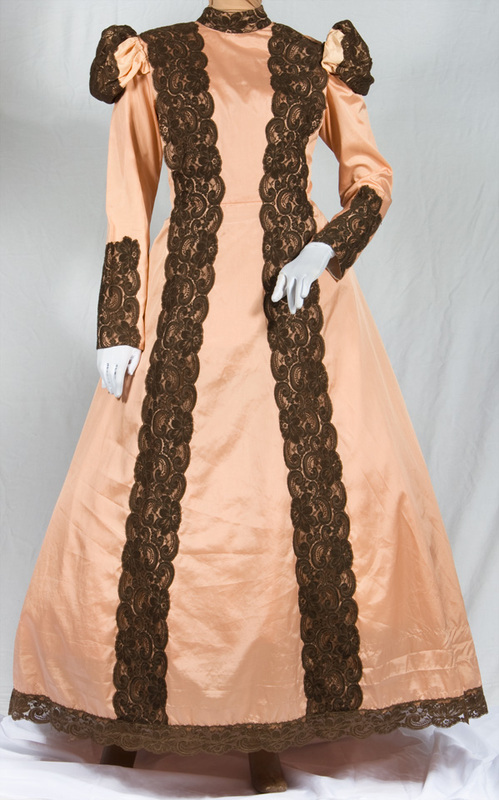 Includes: Peach faille dress with brown lace applied trim. 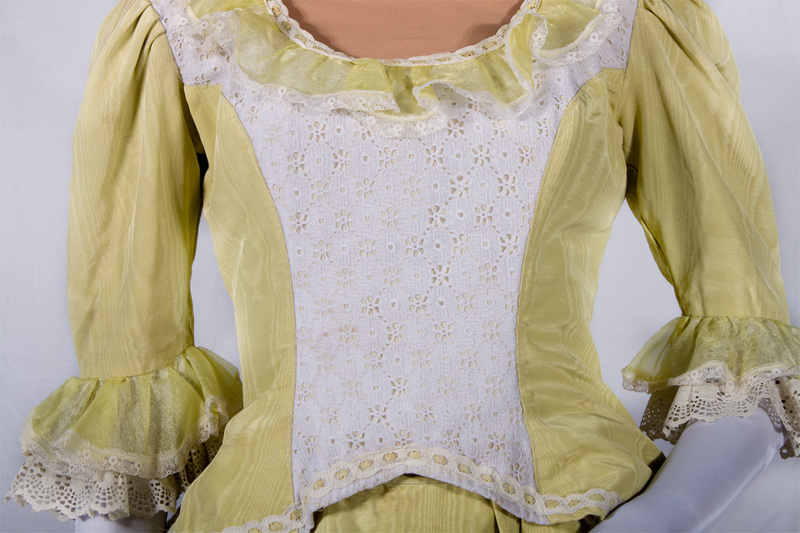 Fitted bodice has bands of lace trim from shoulders to waist. 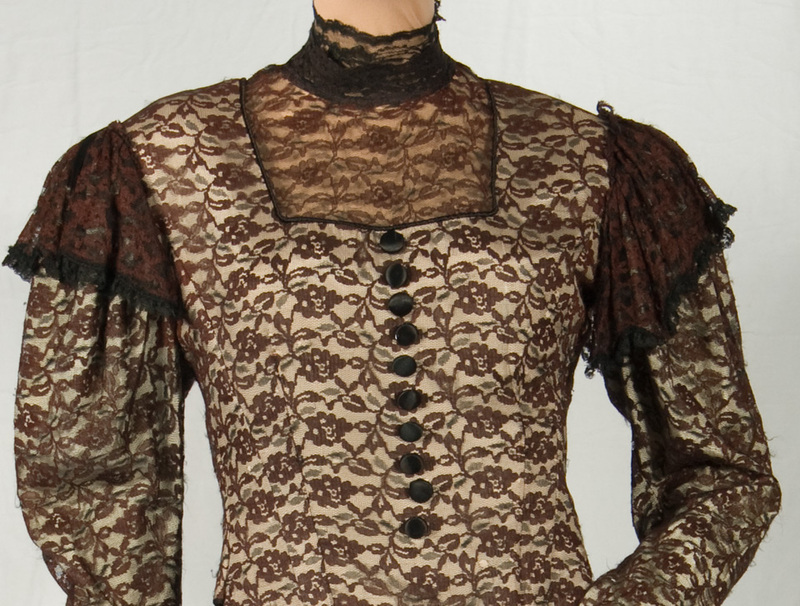 Puff Cap sleeve has band of brown lace & fitted undersleeve with lace band wrist to elbow. Gored skirt has lace bands on side front and side back seams and at hem. Large brown lace bow center back. Includes: Cream lace over gray faille yoked bodice with A line ankle length skirt. 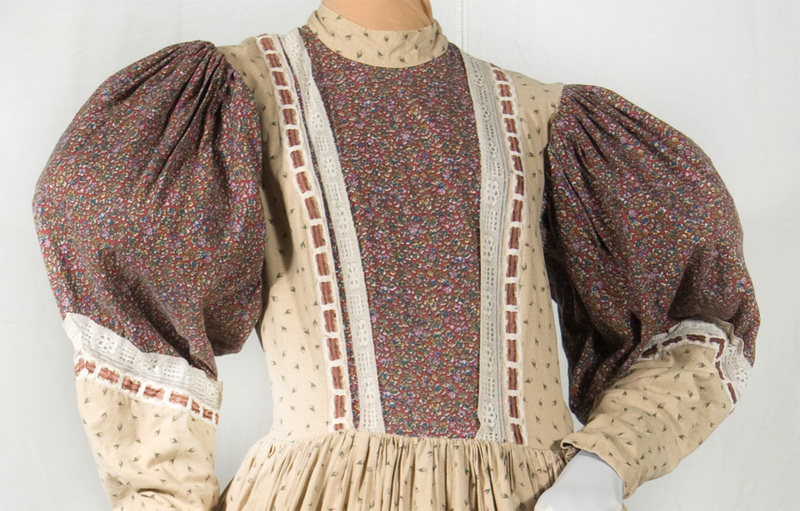 Puffed upper sleeve. Includes: Navy and White geometric pattern with slight sheen, fitted bodice has white tucked insert with stand collar and faux button front. 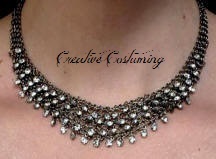 Navy braid trim at neck and edge of insert. 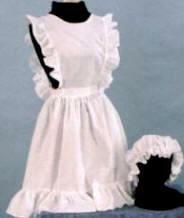 Elbow length sleeves have pleated ruffle and navy braid trim. 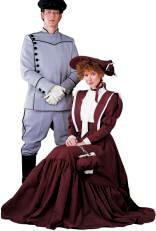 Attached gored skirt has navy braid accenting the seams in front, and box pleats center back. Suitable for Gilbert and Sullivan Operetta. 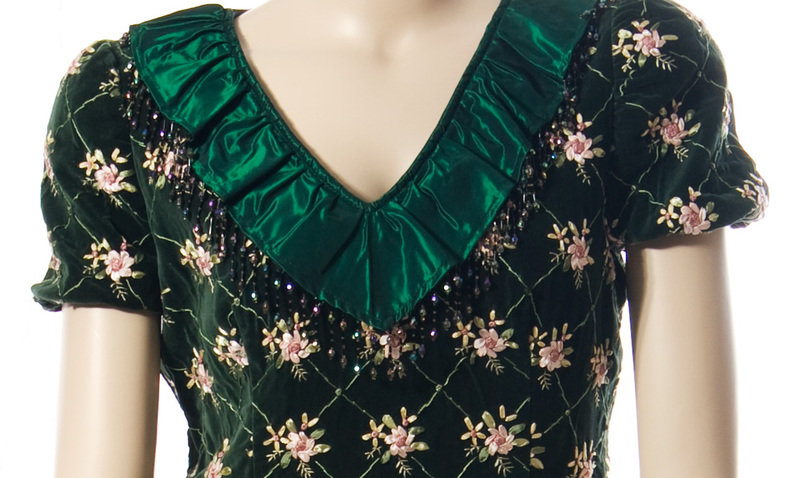 Includes: Magenta, green and gold striped princess seamed bodice with lace collar and gold trim. 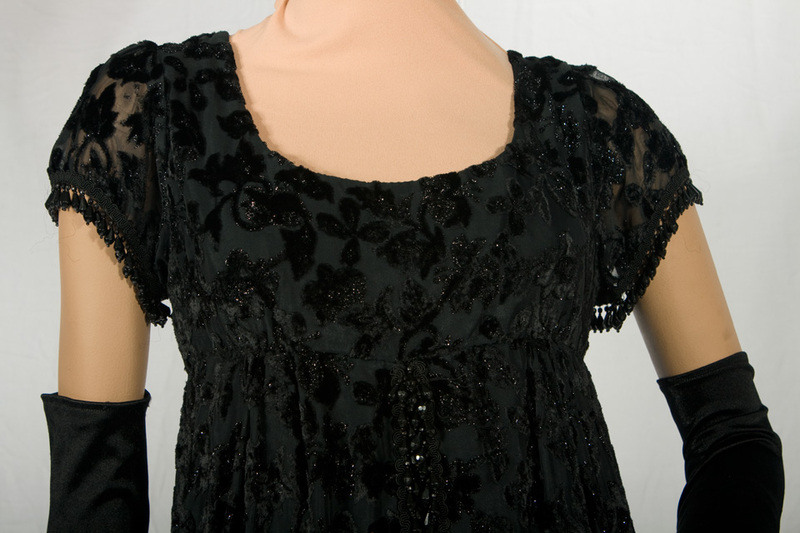 Elbow length sleeves with lace edged flounce. 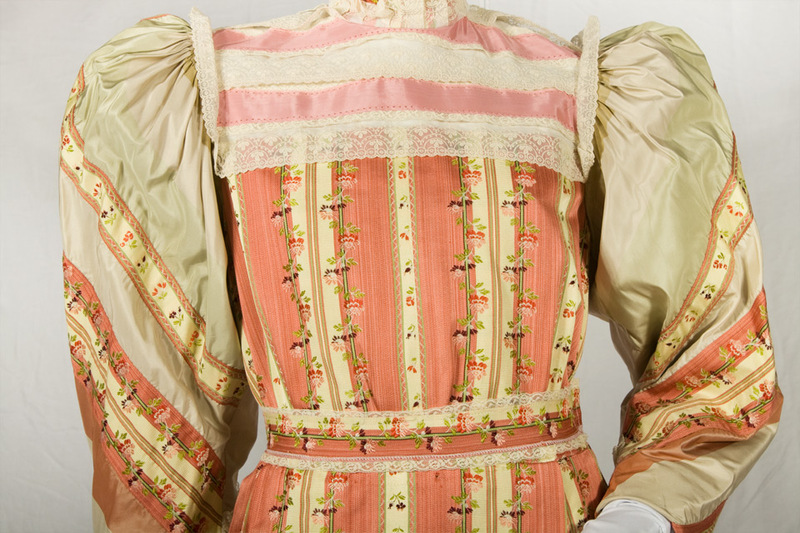 Attached skirt is matching rose, green and gold flowered print cotton, with striped apron, and striped ruffle. Picture needs to be redone to give her a waist. Includes: Light weight very elegant mauve velvet dress accented with Black lace English net collar, a long lace bow down the front, a matching mauve velvet waist sash trimmed with Black fringe. Includes: Light weight very elegant mauve velvet dress accented w/Ivory lace English net collar, long lace bow down the front, & matching mauve velvet waist sash trimmed with Ivory fringe. Includes: Light weight very elegant mauve satin dress accented w/black lace English net collar, a long lace bow down the front & a matching mauve satin waist sash trimmed with Ivory fringe. Very flattering on bigger full figured women. Includes: Elegant floral stretch black lace with mauve lining accented with a high Venetian lace collar and front ruffled lace. It has a back zipper & flows nicely as you walk. all trimmed with eyelet ruffles. 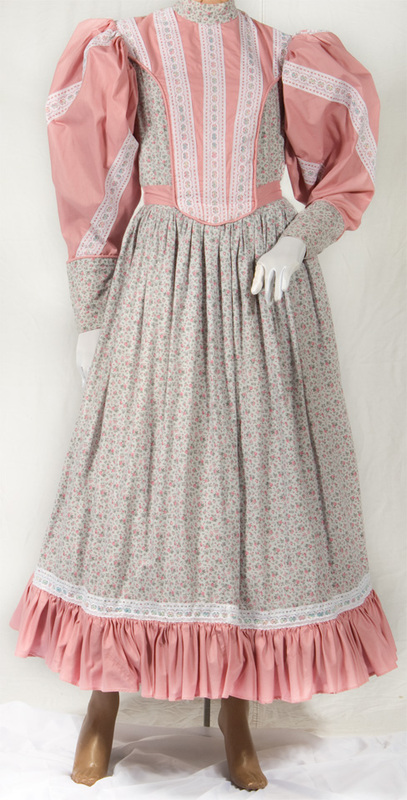 Includes: Pink & grey flowered calico print dress with fitted waist with ties, pink mutton chop sleeves & center front panel trimmed in eyelet lace. 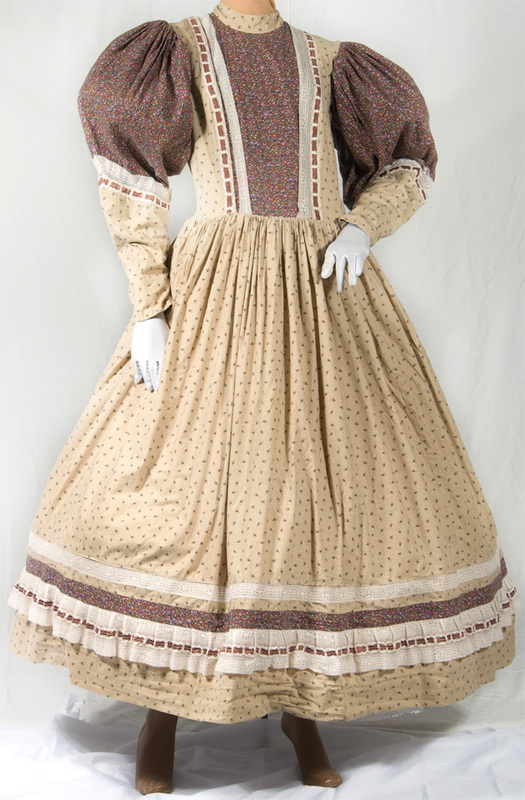 Includes: Tan calico with small rose print skirt and bodice, with contrasting calico insert and sleeves. 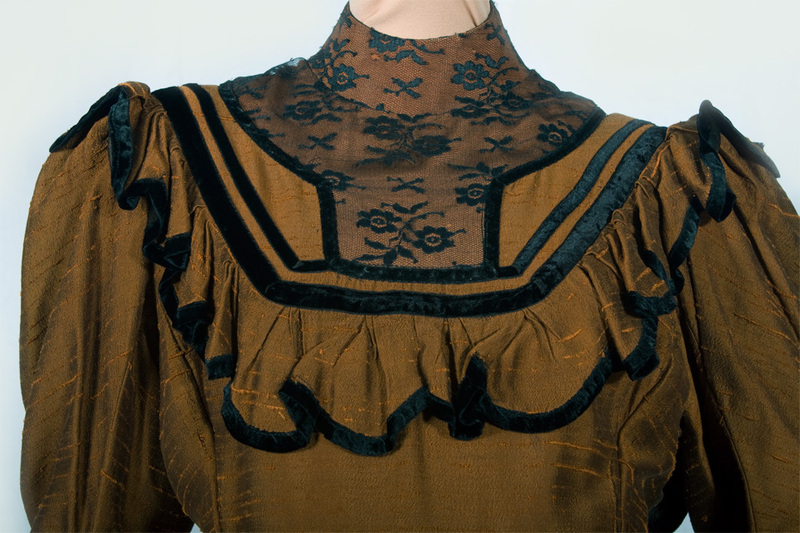 high collar, flat applied lace bands of trim. 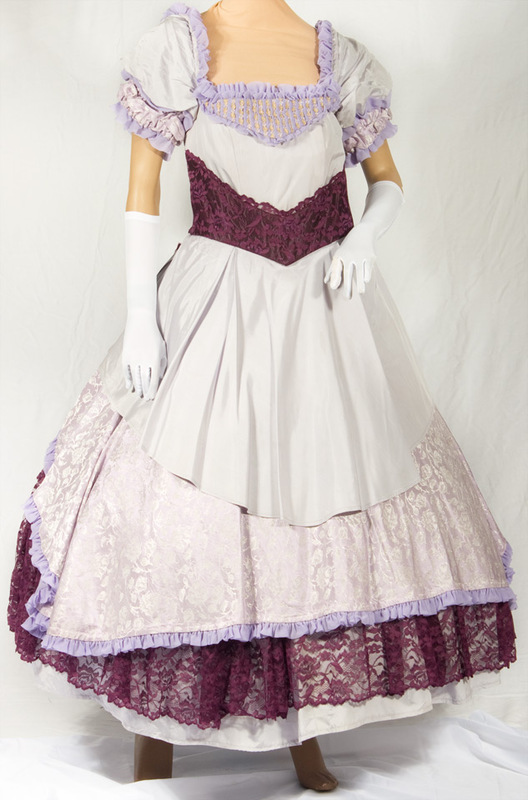 Includes: Lavender with purple lace trim ¾ length dress with puffed sleeves, fitted bodice, Purple lace belt. 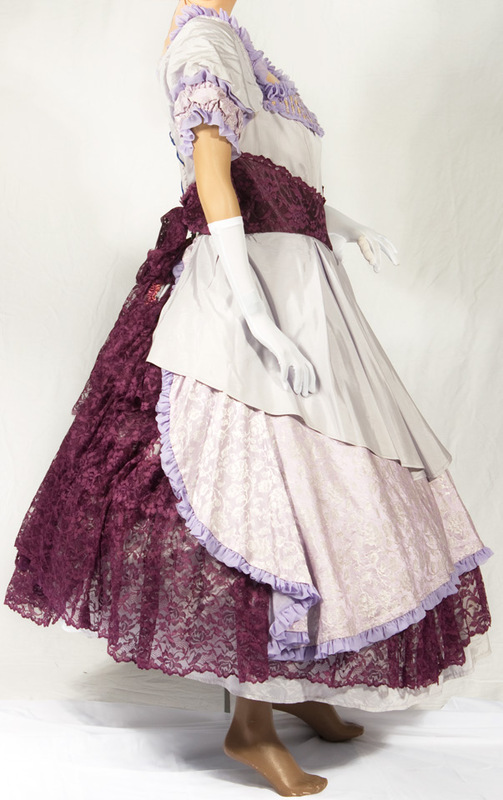 Brocade drape has lavender chiffon ruffle trim, and lace ruffle underskirt and an additional lavender faille drape. Laces up center back. This dress is constructed suitably for dancers. Includes: Mint green & cream dress with lace & beaded trim. 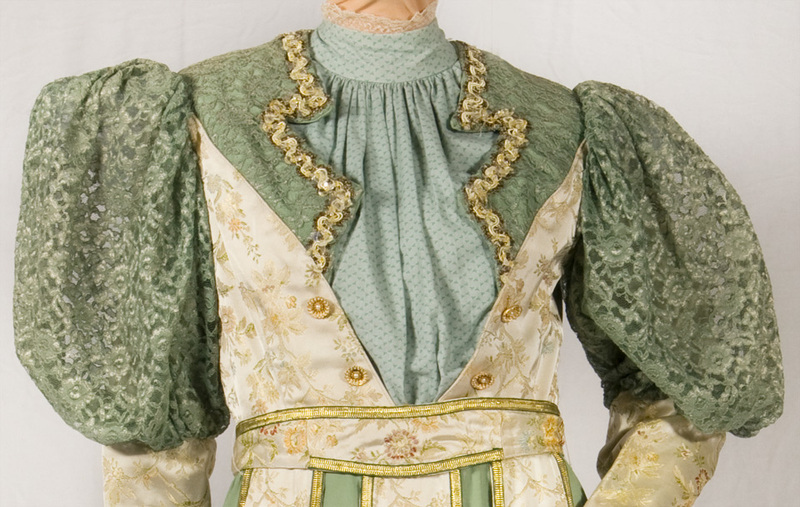 Bodice is flowered jacquard satin with a cream ground vest with green lace over satin applied flat collar and green cotton underblouse with stand collar. 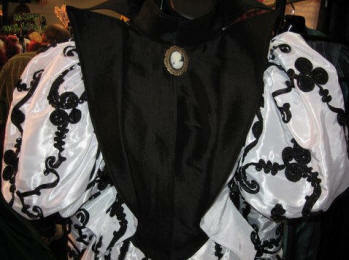 Sleeves are full puffs with cream jacquard fitted undersleeves. 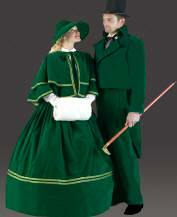 Attached skirt is green crepe with panels of cream jacquard trimmed in gold and green hanging from waist. Matching belt. 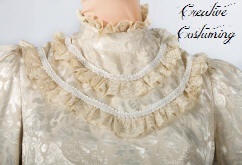 puffed sleeves with lace frill to elbow. 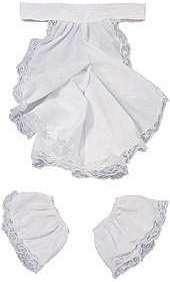 Tucked bodice releases into flowing skirt with matching lace ruffle trim. 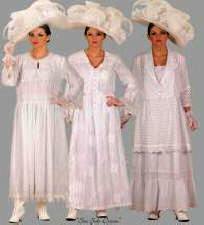 Includes: Wispy sheer light weight cotton & voile dresses accented w/Battenberg lace & eyelet trims. 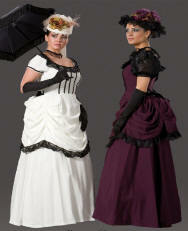 voile dresses accented w/Battenberg lace & eyelet trims. 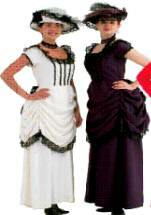 Includes: Victorian 2 piece Bodice & Skirt of off white tone on tone brocade with long fitted sleeves and stand collar. 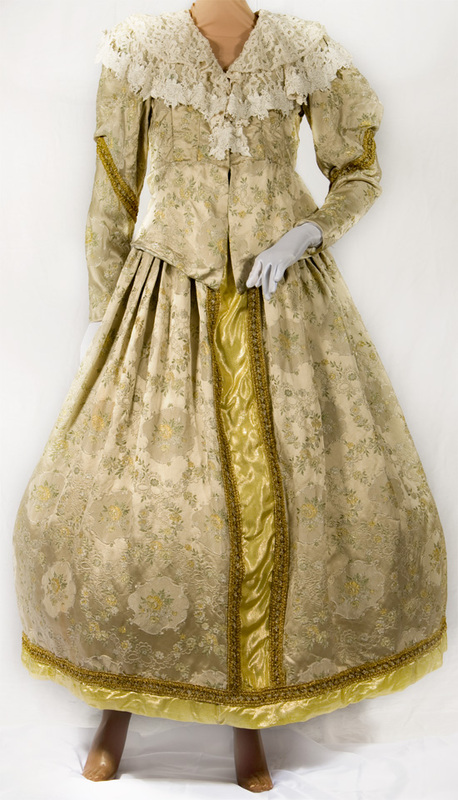 Includes: Satin & brocade dress with layered skirt & train with arm loop & matching jacket with layered sleeves all trimmed with gold braid trim. as a special order @ $689.99. Includes: Royal Blue Empire waist gown has navy brocade underskirt and center front panel, with royal blue chiffon overlay and blue sequin and silver trim, at waist, neckline and center front. 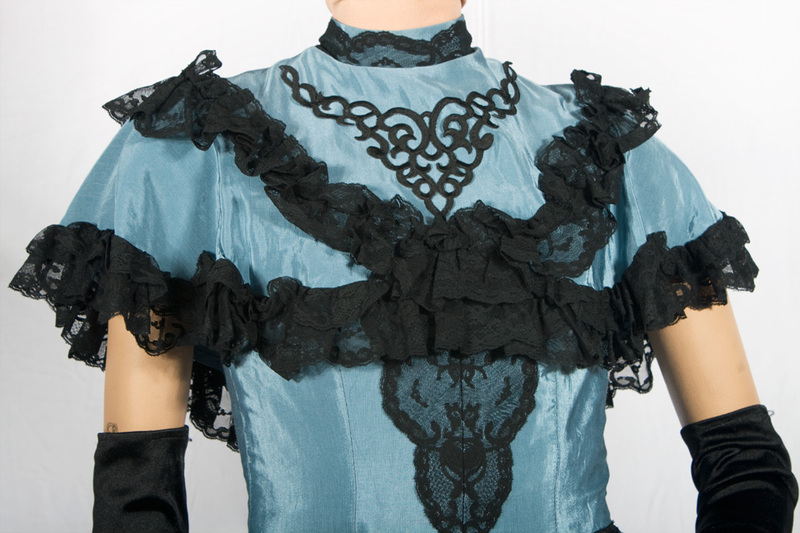 Sleeves are short puffed and ending in blue lace trim. 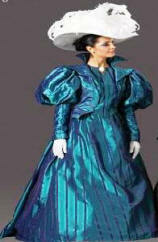 Back has attached cape that falls from shoulder line into a slight train, edged in blue sequin trim and blue lace. Navy brocade shawl with lace appliqué ends in two large tassels. 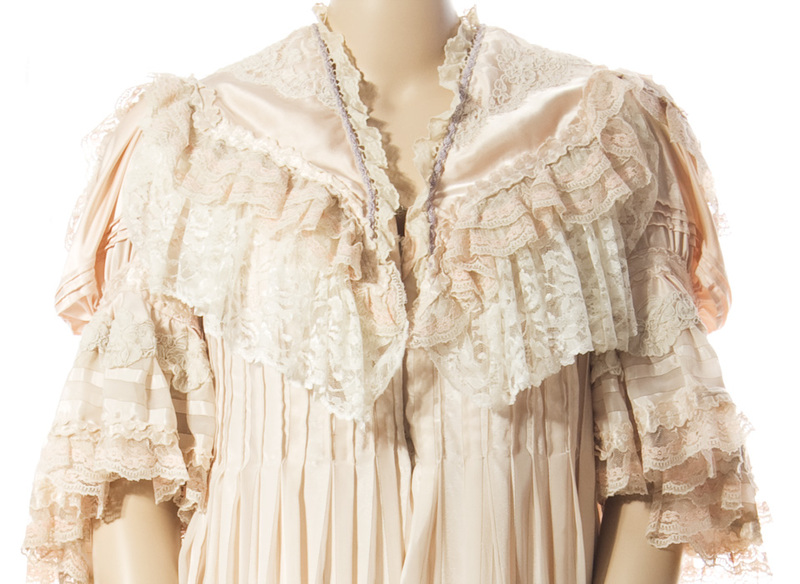 Includes: Peach Satin gown with lace overlay. Ruched skirt with flowered trim, puffed sleeves with lace & deep V neckline with satin banding. 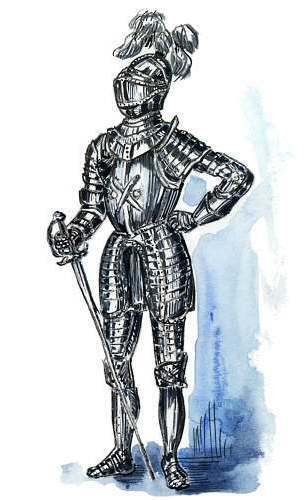 May be worn 2 ways, with train worn down (as above) or attached in back (right). 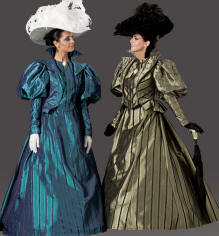 Includes: Honey Amber Satin Empire waist gown with gold lace sleeves and green and gold brocade panel with lace trim. 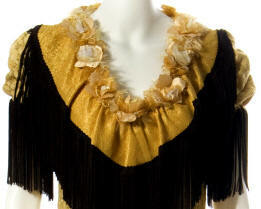 Includes: Carmine glitter embossed velvet bodice and drape with black sequin and fringe trim. 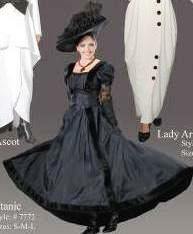 Black satin underskirt, black organza mutton chop sleeves. 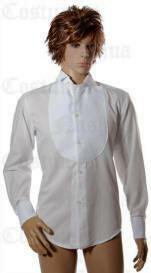 short puffed sleeves, jet trim at neck & waist. Skirt is cut away at front & ends in moderate train. Black jet beaded trim at hem. 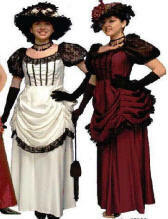 B: 34"-36" / W: up to 36" / RC: 32" / H: up to 44"
bodice & drape overlay with short cap sleeves, black beaded trim & moderate train. 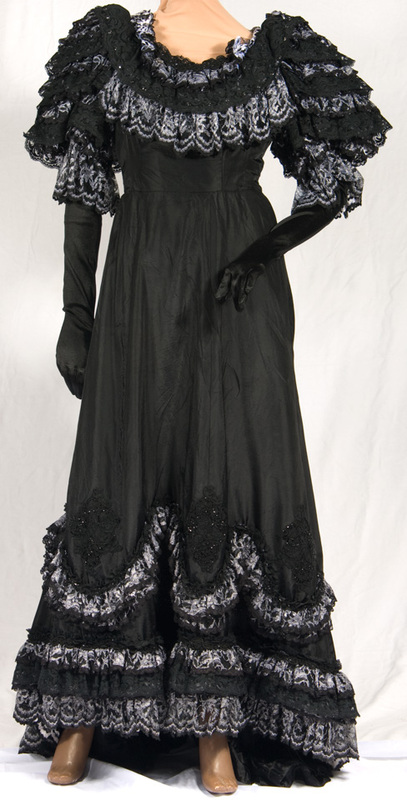 Includes: Black lace over black and beige print make this gown look like it was made with Chantilly lace. bodice has cream dickey with pearl buttons and long lace sleeves with tuck detail.Skirt is straight and to the floor, with slightly dropped elasticized waist, belt loops and self tied belt, and additional lace panels from hip to below the knee. Includes: Sophisticated pin stripe jacquard dress w/contrast velvet accent & covered button detail. 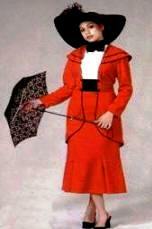 Includes: Includes poly cotton hat with plumes, matching 3/4 length jacket and full length skirt with contrasting buttons. Includes: Fabulous taffeta dress accented w/faux fur trim, puff sleeves, lace at lower sleeve, sequin neck trim & attached belt. 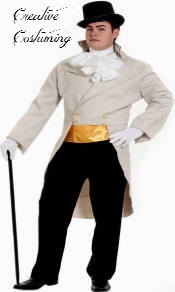 Includes: Double breasted captain's jacket w/gold trim & pants w/side stripes. Rental fee for 10/15 - 11/15 add $30. 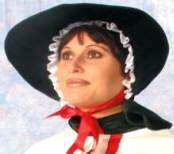 Includes: Gabardine hat, dress with pleated blouse and Handbag with lace trim. in "The Sound of Music". 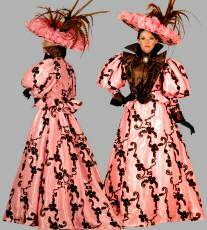 Includes: Full skirt trimmed with lace appliqué on brocade, ruffled shirt front & matching jacket, matching hat with lace appliqués & matching handbag. As of 11/07 the manufacture has changed to a poor quality fabric. Thus, this dress is not recommended for purchase. 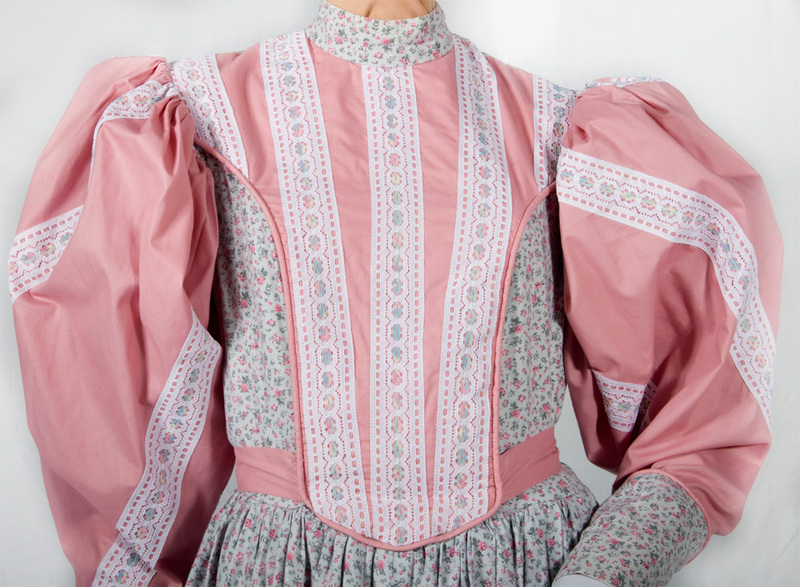 Includes: Early 20th century style belted jacket, vest, knickers (shown) & pants (not shown).  Fabric: Woven Polyester for Tweed & Garbardine for solid colors. 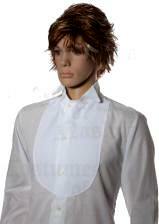 Includes: Satin lined jacket with velvet collar and piping, matching vest front & pants. 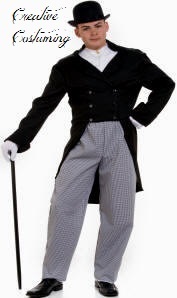 black velvet trimmed collar, buttons and piping, matching vest front & pants. 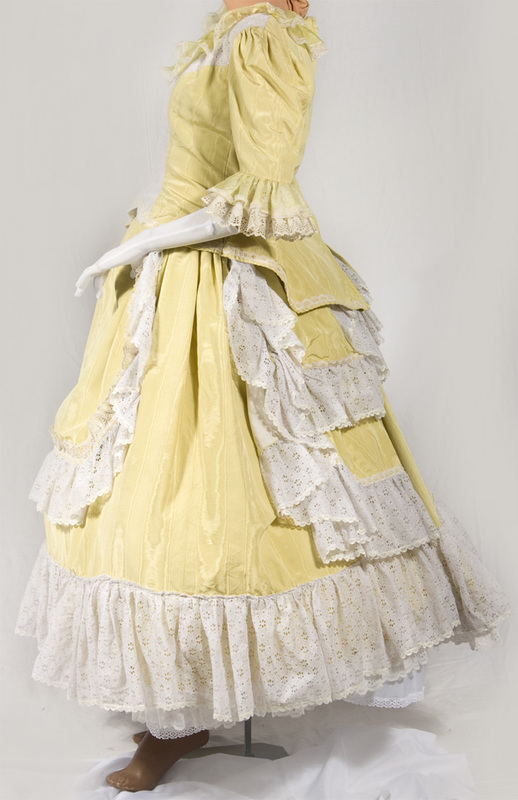 Includes: Yellow/Gold dress w/floral brocade bodice, puffed sleeves, fitted waist, crinkled satin underskirt, overskirt accented w/ruffles, matching neck detail w/black fringe, silk flowers & feathers. 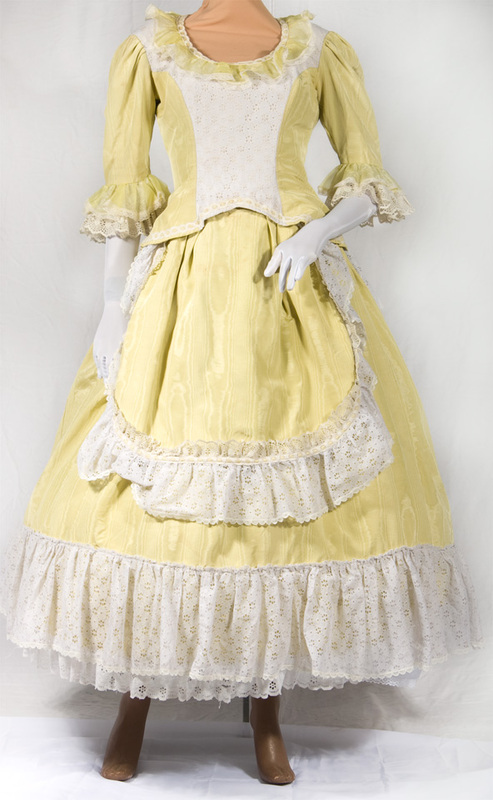 Includes: Lace & satin ladies' afternoon dress with built-in petticoat and satin belt, lace hat with satin trim, and matching handbag. 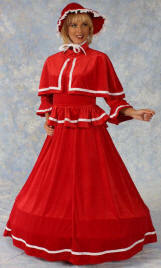 Includes: Delightful dress w/contrasting piping around attached cape & peplums, lace ruffle front, gored skirt, stand up collar & neck bow tie. C: 38"-40" / W: 34"-37"
days, back home to fireside memories of family, friends & mulled cider! Suitable for Dickens to Modern. Also, works for Mad Hatter. Includes: Green and Purple plaid pants. Purchase does not include pants, hat or cane. Rental fee for 10/15 -11/15 add $10. lace jabot & gold sash. 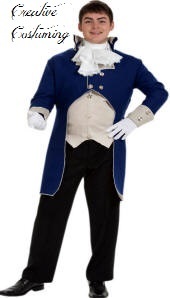 Includes: Royal Blue 2 Button Tailcoat with tan vest and white lace jabot. Rental fee for 10/15 - 11/151 add $10. A little nonsense now & then is relished by the wisest men (Willy Wonka). Bring out your inner child as chocolate factory owner or share the dulcet tones of your melodious voice Caroling during the holidays. Includes: Black ponte knit cutaway jacket with high collar, Gray pants & ascot tie. 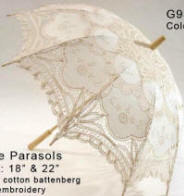 Includes: Blue Jacket, Tan Knickers & Lace Jabot. Rental includes Hat & White Shirt. 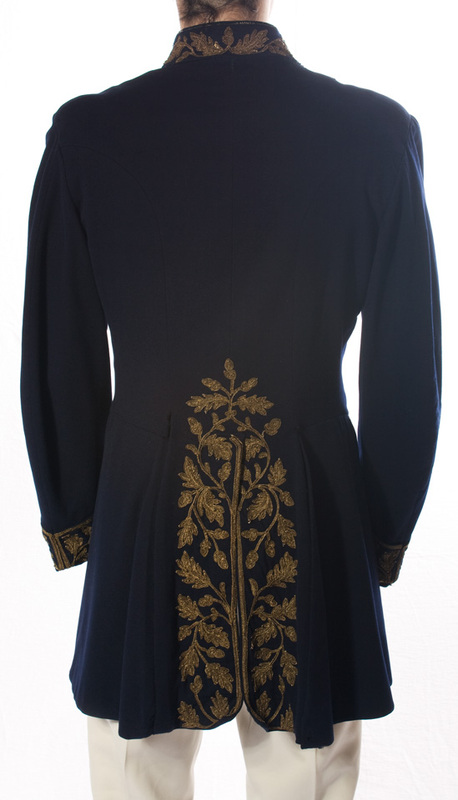 Includes: Two button Velvet Frock Coat. Includes: Salt & pepper tweed Inverness overcoat with attached cape & matching deerstalker hat. Pants, knife & shoes not included. For three months in 1888 fear & panic stalked the streets of London's East End as this legendary murderer prowled the dark streets. 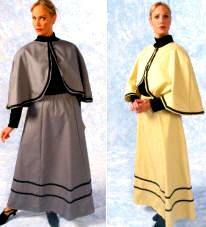 Includes: Deluxe full-length duster coat with pewter colored button front closure, peaked waist seam detail, attached capelet & white tiered lace jabot. 94% Polyester, 6 % Other. Machine wash cold, tumble dry low. Includes: Great looking gabardine jacket w/notched collar & matching pants with seam pockets. 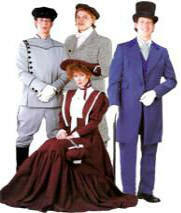 Includes: Poly-poplin jacket, brocade vest front and poly-poplin pants. Tail coat & matching elastic waist pants. 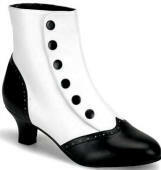 Velvet boot with 8 Straps w/Elastic, Button Detail, Side Zipper & 2.5" heel. 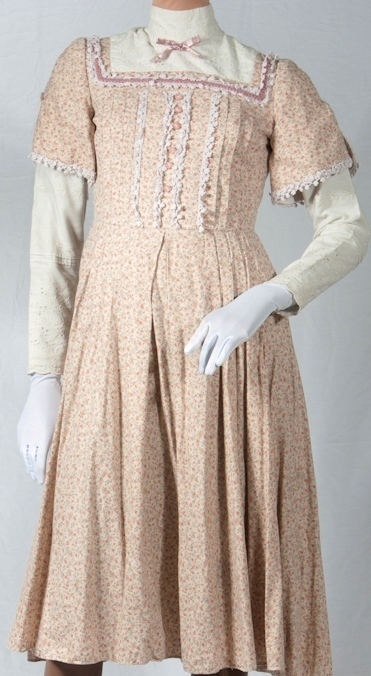 Includes: Warm Beige flowered calico cotton dress w/tuck pleated skirt, tucked bodice, eyelet collar, yoke & undersleeves all accented w/rose pink trim. 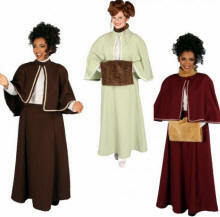 Includes: Long elastic waist Poly Knit skirt & cape accented with white braid trim.